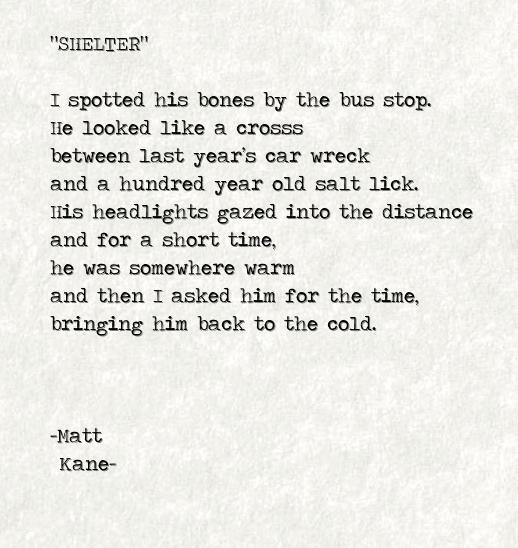 I spotted his bones by the bus stop. and a hundred year old salt lick. bringing him back to the cold.